These blueberries aren’t actually native to the area, but they’re so gorgeous at this time of year that I couldn’t resist including a couple of shots of them. 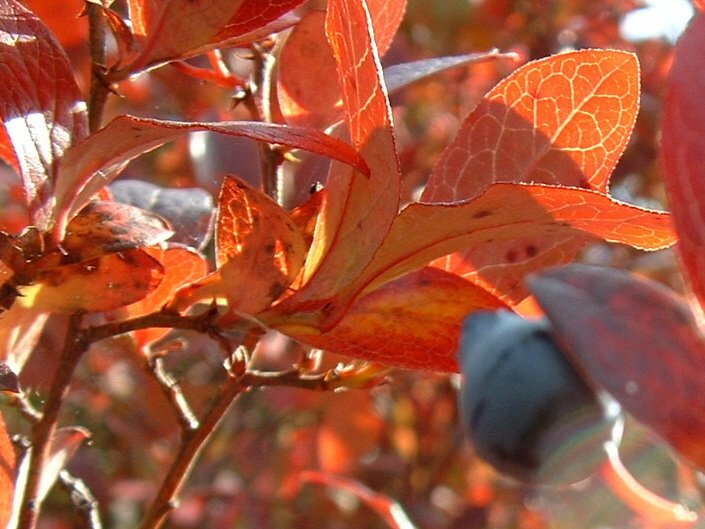 The land surrounding the park is filled with blueberry farms, and the birds who snack on those berries are responsible for their presence in the park. The birds return home after gorging themselves, “do their business”, and disperse the seeds. 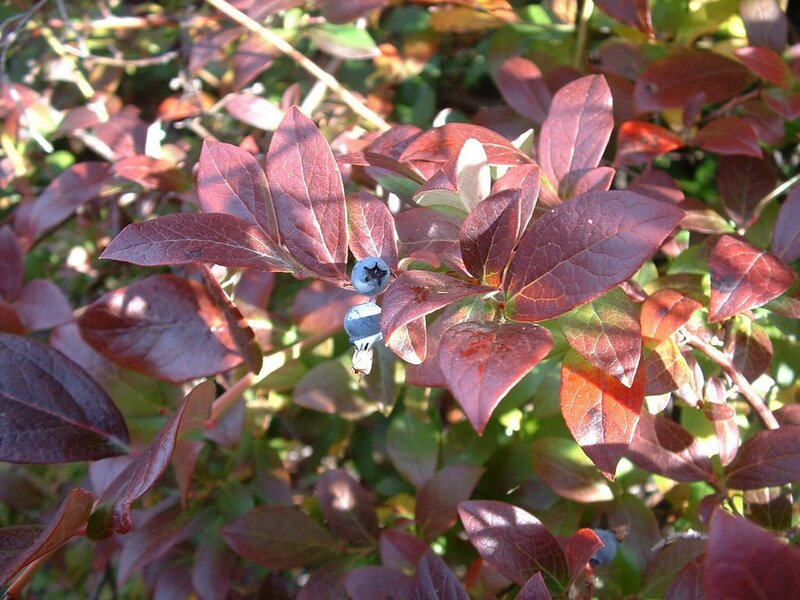 The park being on a bog makes it the perfect place for growing blueberries, so they have easily taken over the area. 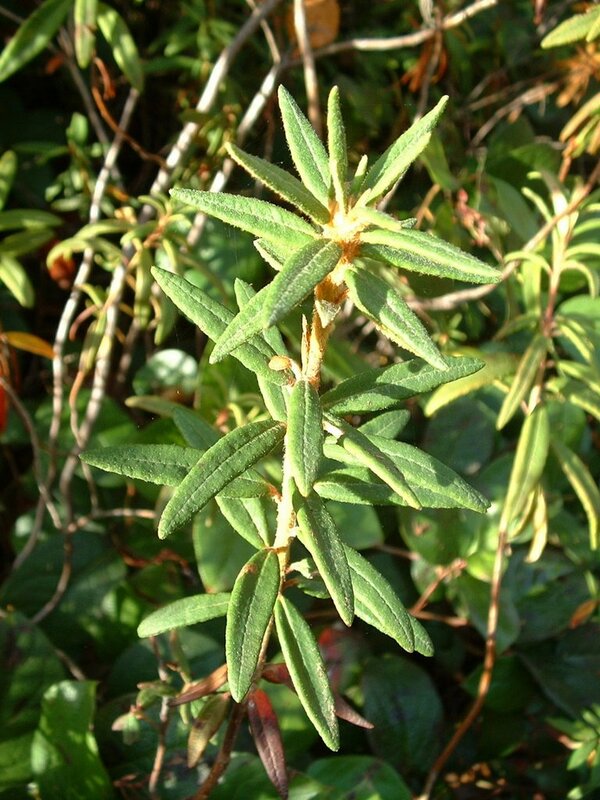 This is Labrador Tea. Not surprisingly, it was used to brew a tea rich in vitamin C. It can also be used as an insect repellent and to ease a sore throat or upset stomach. We got to have a cup at the end of the program, and it was actually quite tasty! Cranberries are another local delicacy; BC apparently grows 12% of the world’s cranberry crop. 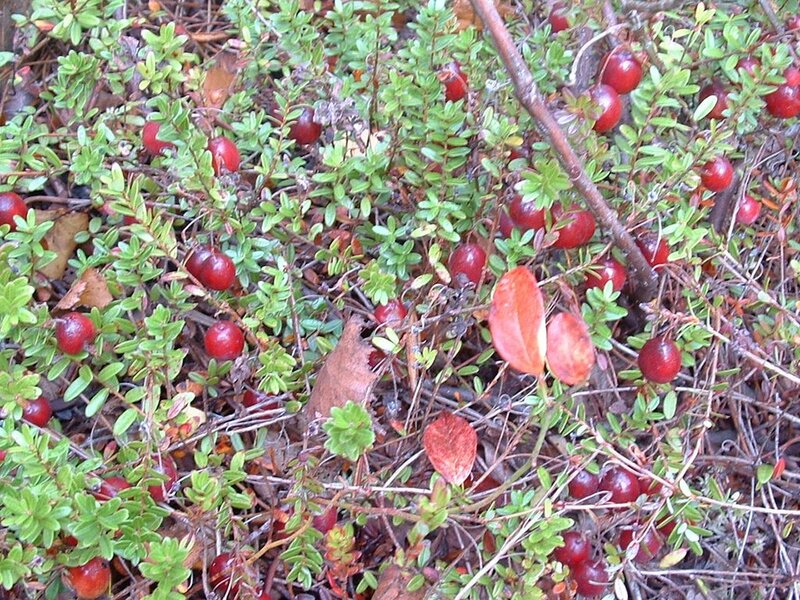 The plants love the acidic soil that a bog provides, so the ground was covered with these tart red jewels. 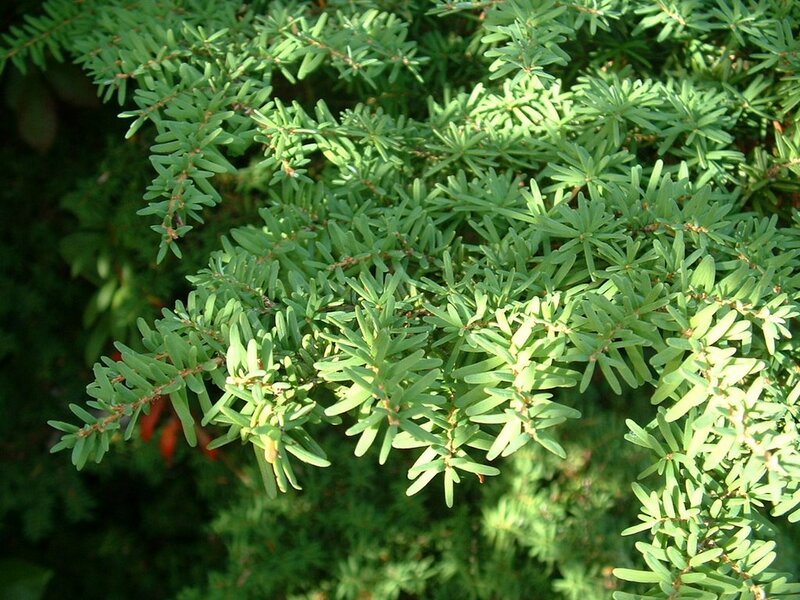 These are the needles of a Hemlock tree (no relation to poisonous hemlock). The bushy branches were used by the local Musqeum people to gather salmon eggs from the river bottom, as well as to make a red “makeup” that they would wear on special occasions (the bark is red in colour). 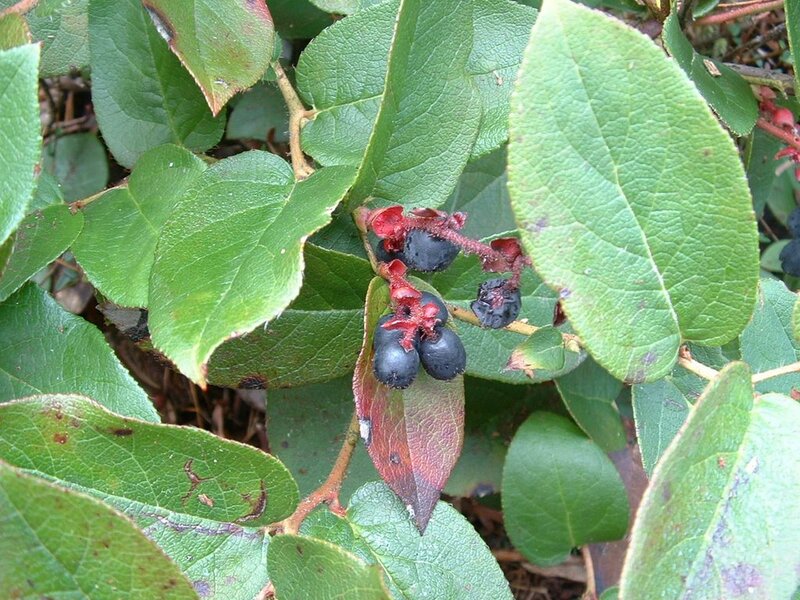 The needles taste a bit like parsley and are also rich in vitamin C.
The leaves of these Salal bushes can be used to treat headaches. The berries are quite bland on their own, but were made into special cakes by the first nations people. 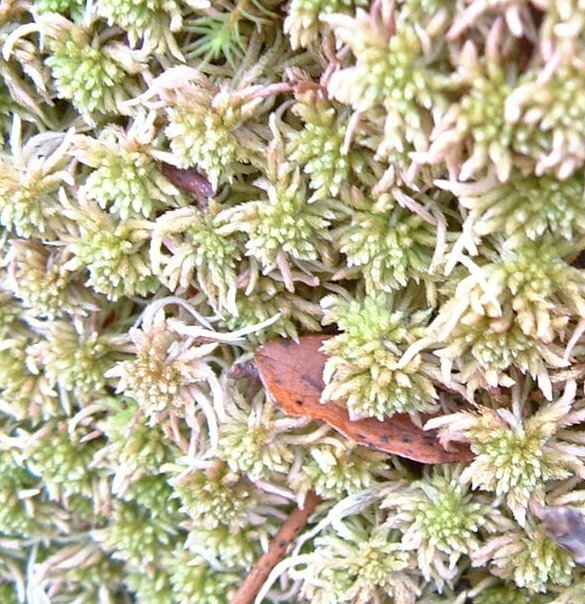 This sphagnum moss is pretty amazing stuff. The pathways in the park bounce when you walk on them because the moss is 10 – 15 feet deep underground. We got everyone to jump up and down all at once and were able to make big trees a good distance away shake from the force. Natives used the moss as the world’s first disposable diapers, as it can hold up to 20 times its weight in water. It was also used as a bandage, with the added benefit of being antibacterial. To learn more and see more photos of our day, check out our homeschooling blog. I’ve just got to tell you how much I LOVE your blog! We just dined on your creamy orzo recipe (made with shell noodles because our silly co-op doesn’t have orzo) and I’ve got that german apple pancake next on my list! Your photographs are beautiful and the recipes are amazing. It’s also fun to see photos of the cool PNW being down here in New Mexico. Thanks so much for sharing all this with us! Thank you so much, I’m never really sure if anyone’s reading or not! I’m glad you’re enjoying the recipes; the apple pancake is a must. Sounds like a very interesting / informative program that you participated in. Wish they offered one around here. If I remember correctly, the sphagnum moss was also (possibly still) used extensively in Scotland. Carla – I think you’re right, don’t they use peat moss for cooking and heating over there? It’s pretty useful stuff!